Technique and Turns Camp will focus on body line driven technique, while introducing athletes to Olympic level drills and exercises. Swimmers will learn new techniques to make their swimming and turns easier and faster. Our aim is to develop a more comprehensive swimmer so that they may have the technique to train at the highest level possible. 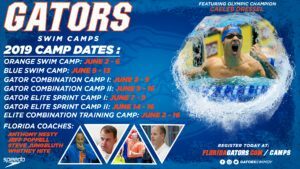 Register for the swim camp here! Technique camp is designed to teach fundamental and advanced skills for all strokes. 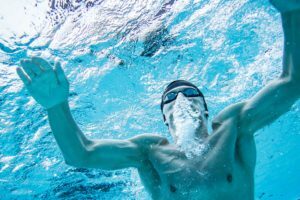 Swimmers learn new techniques to make their swimming easier and faster. Camp will focus on body line driven technique, while introducing athletes to Olympic level drills and exercises. We offer the technical camp for athletes to learn the ‘why’ behind the ‘what’. Our aim is to develop a more comprehensive swimmer so they have the technique to train at the highest level possible. The last swim session of each day will focus on the highly athletic motions and fundamental biomechanics of starts, turns, and breakouts. These vital skills are extremely important, and when used correctly, can help shave time off swims. We will teach and improve on these motions through drill and movement progressions, with the goal being for each athlete to utilize these skills in racing and competition. Train like a GAMECOCK! Training focuses on intensive conditioning, thorough instruction and analysis of all four strokes. Athletes will be exposed to training in the various energy systems of the human body (Aerobic (EN1), Anaerobic (EN2), Lactate (SP3), etc…) Head Coach McGee Moody will write and coach each of the training workouts, introducing athletes to collegiate training. 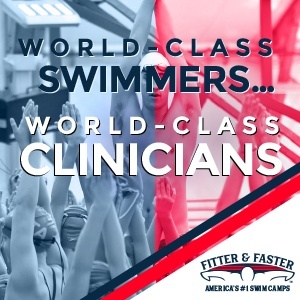 The last swim session of each day will focus specifically on the highly athletic motions and fundamental biomechanics of starts, turns, and breakouts. These vital skills, while often overlooked, are extremely important, and when used correctly, can help shave time off swims. We will teach and improve on these motions through drill and movement progressions, with the goal being for each athlete to utilize these skills in racing and competition. Throughout camp, athletes will receive nutritional information with a focus on peak performance and recovery. In addition to nutrition, each athlete will have the opportunity to learn about goal setting, both immediate and long term. A proven leader in the coaching profession, McGee Moody begins his 10th season as the head swimming and diving coach at the University of South Carolina. He and his staff continue to build the South Carolina program and strive toward the elite level of the sport through effective training methods and tireless recruiting efforts. 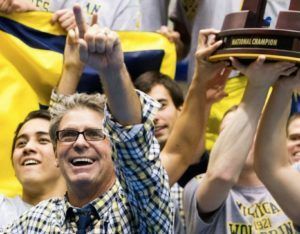 In his nine previous years at the helm, Moody has overseen a successful stretch for the Carolina swimming and diving program. Last season, the Gamecock men placed earned their highest finish at the NCAA Championships since 2000, placing 19th. For the third-straight season, the team’s 800 freestyle relay earned All-America honors. The women finished with nine dual-meet wins on the season, the most since 2002. Kevin Swander enters his fifth season as an assistant coach at South Carolina. A 13-time All-American at Indiana, Swander brings an extensive swimming background with him to the Gamecock coaching staff. In his time with the Gamecocks, Swander has produced very successful recruiting classes and improved the number of new Olympic Trial qualifiers. 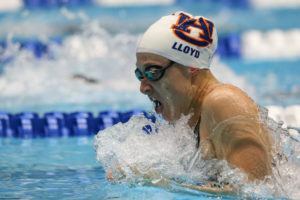 South Carolina sent nine swimmers to the 2016 Olympic Trials. Erin Mullins joins the Gamecocks after two years at Division I University of Richmond in Virginia. She served as assistant coach of the program, which won the Atlantic 10 title in 2014-15 and 2015-16. The Spiders were also named the Scholar All-America Team by the College Swimming Coaches Association of America (CSCAA) both years. 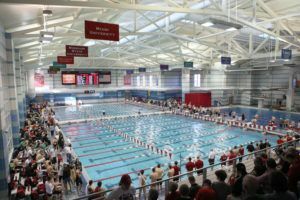 GAMECOCK SWIM CAMPS ARE OPEN TO ANY AND ALL ENTRANTS LIMITED ONLY BY NUMBER, AGE, GRADE LEVEL AND/OR GENDER. Swim Camp news is courtesy of Gamecock Swim Camp, a SwimSwam partner.